While a good gaming rig is essential in today’s day and age, sound plays an import role too. Hence, one would require a great pair of headsets for gaming. Weather its casual gaming on the mobile phone or a bit more serious on the PC, a gamer cannot do away with good audio. Another pair of gaming headset that have hit the Indian market is by a company called Rapoo. They care called Rapoo VH300, which has a lot of neat features to begin with and some of them we have seen in a costlier model by its competition. It has got a clutter free design and comes with Cool Blue LED backlights. Over that, it has been designed in such a way that even the most casual gamer can feel like a pro. Rapoo is a new name in India, but it is trying to make a mark here with some great looking gizmos. The RapooVH300 Gaming Headset weighs just 390gms. Furthermore, the company says it has a comfortable design which is great for extended hours of gaming. It is best for marathon gaming considering it has noise isolating over-ear design and signature memory foam ear cups. 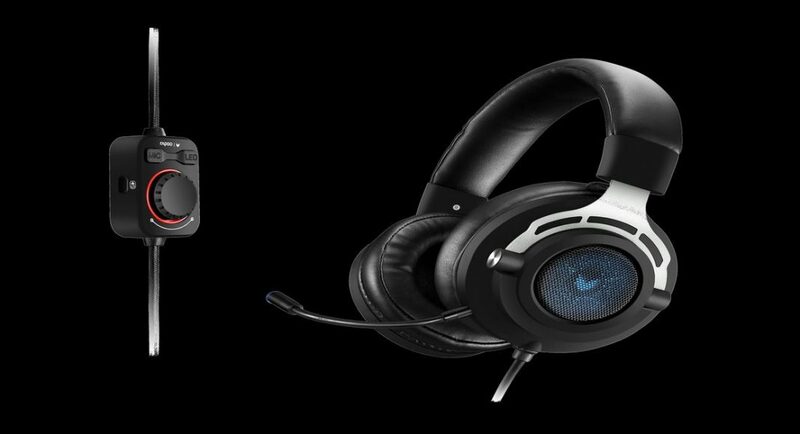 Also, the VH300 headset helps the gamer to freely customize voice modes. The VH300 comes with some great gaming aids which gamers would love. This includes a swivel to mute microphone, detachable microphone design and volume controls on the headset itself. It also has a Virtual 7.1 Channel audio output that gives an amazing sound experience, as stated by the company. This is possible due to the Dual Chamber technology. The Rapoo VH300 is compatible with many devices such as PC, Xbox One, PS4, Wii U and mobile phones. Coming at a price of Rs. 3,199 it seems like a decent buy for the gaming audience in India. And yes, it comes with wires and ports which are very durable. Since it has interesting and unique features it might appeal to both youngster and grown-ups.